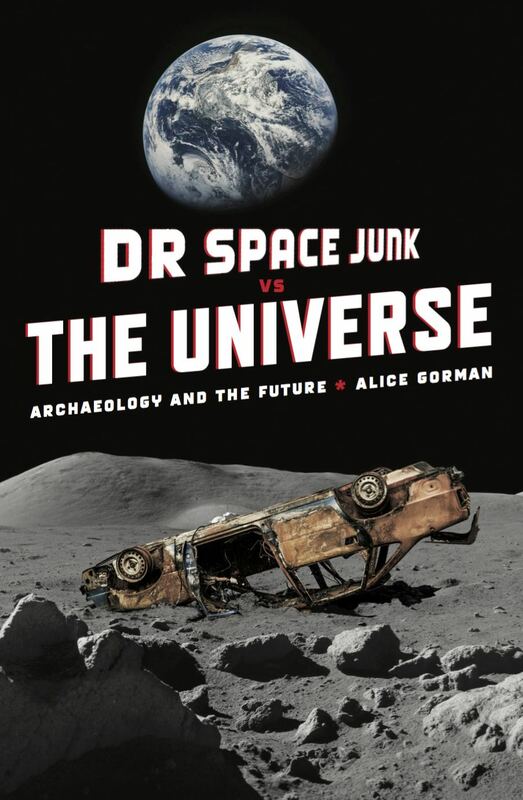 On being a space archaeologist: between science and the postmodern? My colleague Mick Morrison has posed an interesting question, as part of his hosting of the long-running blog carnival Four Stone Hearth this week. He asks: "What are the marginal issues or stories in anthropology that you think deserve more attention?" I suspect my primary answer to this would surprise no-one at all. (But just to be clear about this, it would be the material culture and heritage of space industry and exploration). Easy enough. But he also made me think about how I understand my position in the world of archaeology (or anthropology, in the North American sense, encompassing socio-cultural, bio-physical and linguistic anthropology as well as archaeology), as a researcher who is already on the margins, working in an area which many, quite frankly, consider to be mad. (Not that anyone has ever said that directly to me, of course!). In fact I am marginal in more than one discipline, as I also lurk in the corners of space science and policy. This raises a problem about what to call myself. 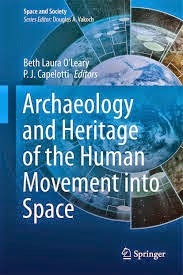 I usually use "space archaeologist", but this can be confusing for those not accustomed to seeing the two words together, or who think it's all about remote sensing. But I'm not strictly a space scientist either, and although "space historian" is more easily understood, and captures part of what I do, I'm not entirely comfortable with this. Recent discussions with Brett Holman of Airminded highlighted for me the distinctions between archaeology and history. As he characterised it, historians tend to work alone, and are very text-focused, rarely interested in the actual places or things which they may discuss. Archaeologists use documents and archives too, but we are more focused on places, landscapes and material culture, and we are used to working collaboratively, often as part of large multidisciplinary teams, or with stakeholders such as Traditional Owners. So "historian" could be misleading too, given that I have an intense interest in the stuff. Another recent suggestion has been "space heritage adviser", which I kind of like, as it has a relationship to policy. None of these seem to fit all that well, however, and each seem to constrain me in some way that I'd rather not be. So, thinking about this, I am led to the conclusion that some kinds of multi-, trans- or inter- disciplinary studies are more marginal than others. In some contexts, one of the most damning things a colleague can say about one's work is "That's not archaeology ......". Flirting with pure mathematics can be seen as taking the interdisciplinary enterprise just a step too far. 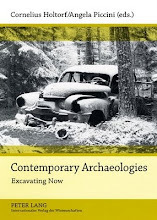 Fortunately, the field of contemporary archaeology, where we use archaeological theory and method to turn a lens on our own behaviour and interaction with material culture (see Schofield and Harrison 2010), is gaining support, and I find myself quite at home in this area. Schofield and Harrison even like my excursion into topology! (Thanks, guys). 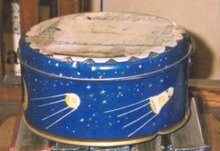 So, if I am in some sense marginal by being inter- or trans-disciplinary, what is the status of the questions I want to ask about the material culture and places associated with space exploration and industry? Actually, they are pretty straight-down-the-line archaeology and heritage. I want to know what we can learn from the places and objects of space; I want to know what is significant to contemporary communities and what are the most practical yet philosophically sound ways of preserving space places and objects for future generations; I want to know how this unique technology interacts with human behaviour and ideology. So, despite my occasional use of literature, poetry, film and mathematics, perhaps I am just a regular common-or-garden archaeologist after all. On the eve of the 50th anniversary of Yuri Gagarin’s space flight, Flinders University space archaeologist Dr Alice Gorman (pictured) reflects on the significance of that feat – with an Australian twist. “Australians were fascinated by the idea of the first man in space, if media coverage around the 12 April 1961 mission is any indication, and they remain so,” Dr Gorman said. Her survey of newspaper accounts reveals the official reception of Gagarin’s achievement was tempered by Cold War hostilities. Menzies’ silence may have led to Moscow’s lack of response when an invitation was issued for Yuri Gagarin to visit the 1961 Sydney Trade Fair, which featured life-size models of several Soviet spacecraft. 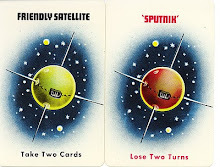 Gagarin bypassed Australia in his world tour that year. Australian journalist and Communist sympathiser, Wilfred Burchett weighs into this story, too. “Burchett, whose passport was lost or stolen, moved his family to Moscow in 1956. He and Anthony Purdy were the only Western journalists allowed to have a face-to-face interview with Gagarin. Mr George Burchett presenting Yuri Gagarin with a boomerang on behalf of Australian peace workers with the hope that he and his fellow compatriots in their journeying to the stars will, like the boomerang, always return to Earth safely and to a world at peace.